Tuomas Holopainen = Jésus Christ?. People cannot get any stupider can they?. Wallpaper and background images in the fanpop FAIL! 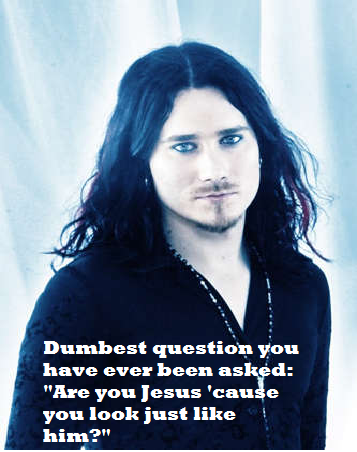 club tagged: jesus christ tuomas holopainen dumbest stupid facepalm fail. This fanpop FAIL! photo might contain portrait, headshot, gros plan, and closeup.